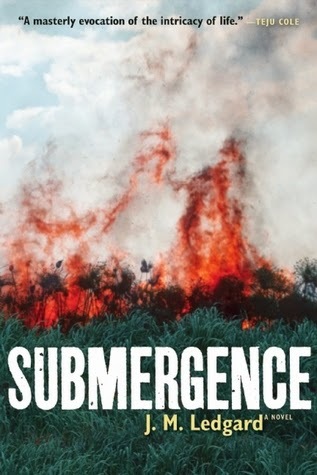 Submergence is one of those books that I am not sure exactly how it made its way onto my On Reserve list. Perhaps an article or a mention in another book. Who knows. Wherever it came from, I am so grateful it crossed my path. The novel, a highly non-linear piece, follows two very different lives. In one subplot, a British secret agent is captured by Somali terrorists. Meanwhile, an oceanographer studies the hadalpelagic zone of the ocean and prepares to visit these deepest, darkest places in a submarine. The two are connected by a few days shared at a French hotel for Christmas past. The title applies most obviously to the oceanographer. Her deep sea studies require submergence in the most basic form. The word applies to the other two stories as well, though. The captured intelligence officer is submerged in the desert culture of Somali jihadists. He may as well be on the bottom of the ocean for as much freedom and chance of escape he has. While both the protaganists are enveloped in their unique circumstances, they each recall back to the snowy days spent together on the French coast. For those brief days, they were submerged in each other and in the isolated setting. Submergence is a book where it takes a while to catch on to exactly what is happening. Thankfully, I do not mind that. I kind of like the challenge of jumping into the middle of things and sorting out the details - at least within reason and if the book is well written. Ledgard meets both of those expectations. Apparently it's time for my annual foray into the British royal family. Last year, I read Robert Hardman's exploration into the reign of Queen Elizabeth II and her court lift (Her Majesty). Two years ago, I read Greg King's biography of the controversial American who became The Duchess of Windsor. Guys, I'm obsessed. One book a year reviewed on the blog may not translate to an obsession to the reader, but I promise what you see here is only scratching the surface. My husband knows - he's the one who has to deal with my Kate Middleton obsession day in and day out. 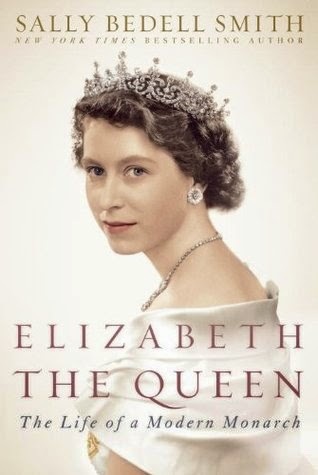 Sally Bedell Smith's new biography of Queen Elizabeth has been out since 2012; it realized in conjunction with the Diamond Jubilee celebrations. Well timed, Sally's publicist, well timed. The book could have easily sat On Reserve for months yet. You all know better than anyone how long things can stay on that list before I get around to them. However, grad school intervened. This term, I am taking a course on Monarchies of the World. Seriously, it's a class. And I'm taking it. And loving it. Grad school is awesome. If you would have told me I could study royal families around the world and get graduate credit for it, I would have signed up years ago. Ok, the book, the book. This week we are studying King George VI (he's the one Colin Firth played in The King's Speech) and Queen Elizabeth II specifically. Since I had to write a paper on the one or the other anyway, I figured now was a great time to pull Elizabeth the Queen off my waiting list. This post has a giveaway at the bottom! 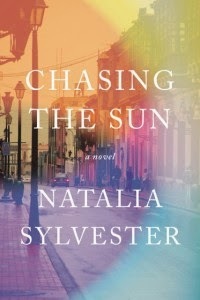 Don't miss your chance to win a copy of Chasing the Sun by Natalia Sylvester! You can enter every day for a week and get an additional entry each day! Over the past year, I have developed a great working relationship with TLC Book Tours. I am so thankful for the unique works they have brought to my attention. I am always excited to get an email from Lisa or Trish offering a new book to try. Chasing the Sun by Natalia Sylvester is one of those books. I think somewhere along the way someone compared it to Gone Girl. Even if no one else had made that connection for me, there is no doubt I would have linked the two in my mind. Sylvester's novel is very different from Gillian Flynn's best seller, but the story lines start off in a similar way. My conditioning for Flynn's work kept me waiting for a huge twist that never came. I'm a bit ashamed of that, as Sylvester's book stands lovely on its own. The story starts off when Marabela Jimenez doesn't come home one night. Her husband, Andres, initially thinks she has left him...again. The next day, however, he receives a ransom note in the mail. I feel like I have been on a roll lately with the 100 Best Novels list. Or, maybe I'm just getting back on track. It's gonna be tough to actually get this list done by the time I turn 30, but, seriously, I'm doing my best. Just like E. M. Forster, William Faulkner has three novels on the list. I read The Sound and the Fury last year. It was one of my very first ventures into the Modern Library list challenge. 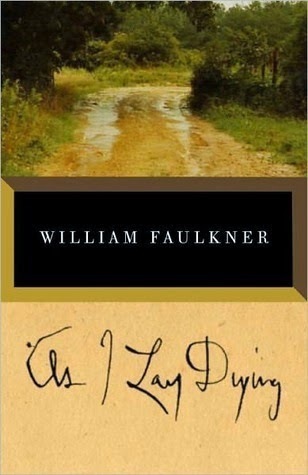 What I learned from that book: Faulkner doesn't make things easy for his readers. He loves to follow characters' train of thought rather than just describe their actions. His characters are rich and rewarding, though. Faulkner's tough, but worth it. As I Lay Dying lived up to the same. The book was complex and satisfying, even though, at its core, the story is a simple one. The Bundren family loses their matriarch, Addie, and the novel centers around the family's attempts to take her body to the nearby town of Jefferson to bury it, according to her wishes. The chapters are each written from the point of view of a different character. Faulkner covers 15 character voices in all. You hear from all the children - there are five - as well as Addie's husband, some neighbors, and some random other characters. Each has a key to putting the whole story together, making the novel a bit like a delightful literary puzzle. Another day, another British novel on the 100 Best Novels list. This one, however, I won't complain about. I quite enjoyed this piece of E. M. Forster's work. Of the three Forster works on the list, this one fell right in line with his other works. If this genre is one you like, then you are in luck. If not, steer clear. A lot of my thoughts about Howard's End coincide with my thoughts on A Room With a View. I probably read them too close together. As I mentioned in my View post, I kept getting them confused in my mind. Both were charming little novels about young women in the pre-world war culture of etiquette and tradition. A Passage to India touches on some of this as well, but its unique setting sets it a part a bit. It also deals with some different issues than either of these Britain-based novels. 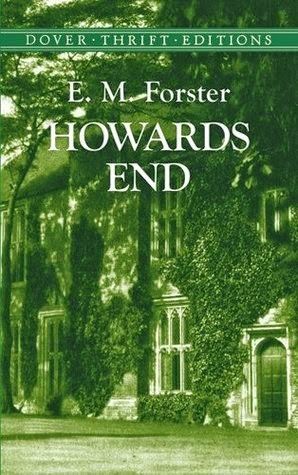 Howard's End derives its name from the stately house around which the stories loosely centers. The matriarch of the family who owns it adores the house, but realizes that her family sees it only as a real estate investment. When said matriarch dies, she attempts to leave the house to one of her female friends. Her family, however, dismisses her wishes as deranged thoughts of a dying woman and keep the house for themselves. I know this post is seriously overdue. You'll have to forgive me. Kevin and I just came back from Aruba. Honeymoon redo for the couple that encountered both Hurricane Sandy and a stomach virus on their original attempt. Let me just say, second attempt turned out way better. We could not have asked for a more perfect vacation in basically every way. Including the fact that I read six books in a week. Perfection. May was a great month for reading. Kevin traveled a whole bunch for work and so, while I missed him, it meant I had ample time for both grad school and books. There was a bit of overlap, I'll admit. You'll see a few grad school books on the list below. I won't be reviewing them on the blog, but they certainly still count as books read in my mind! I completed nine books this month. Crazy. I never would have guessed I could maintained this pace this year. And I'm reading good books! There have been so few duds. Maybe because I'm really working on making my way through my On Reserve list. Who knows. I just know 2014 is turning out to be an awesome book year. I almost did not get to participate in this book tour. TLC Book Tours graciously adjusted my tour date after Simon Sebag Montefiore's novel took a scenic route to arrive on my doorstep. Before we got things worked out, I almost bowed out of the tour completely. I am so grateful I did not. 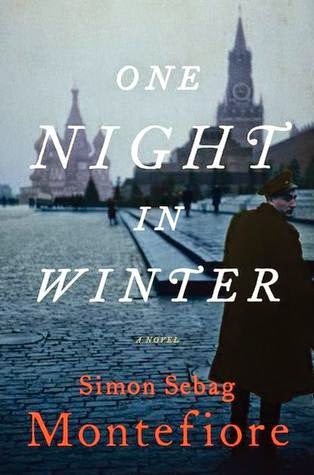 The book is set in the USSR, not long after the completion of WWII. The characters all exist in the twisted upper echelon of Stalin's society. Montefiore focuses on a group of school children who attend the most elite school in the capitol. Their parents, some of whom also play a role in the tale, are nearly all powerful political figures, some close to Stalin himself. While the book is historical fiction, its events are easily imaginable in their context. Two teenagers end up dead on the street and the resulting investigation reaches deep, exposing secrets, lies, true loyalties, and crumbling familial relationships. Neil Gaiman is one of those authors that so many people talk about, particularly in the book blog community. Somehow, though, I had never read one of his books. Several show up On Reserve, but none had actually made it into my hands until this little one. 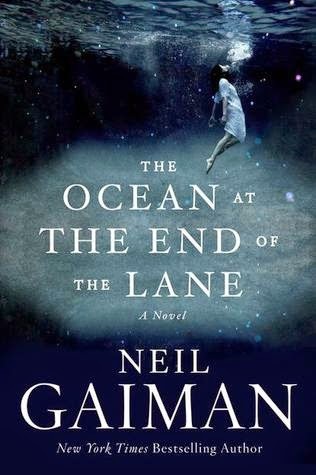 When I spotted a Gaiman novel on TLC Book Tours' list for this summer, I responded as quickly as I could. I knew I wanted to be on this tour. The Ocean at the End of the Lane tells a fantastical tale of a young boy, who remains unnamed, and his magical friend Lottie. Gaiman paints a world that can only exist through a child's eyes. Magic and imagination are seamlessly intertwined, to the point where you really don't know what is real and what isn't. Neil Gaiman is clearly an incredible storyteller. He wove things in that I didn't even notice until chapters later or even the end of the book. For instance: wormhole...so clever!